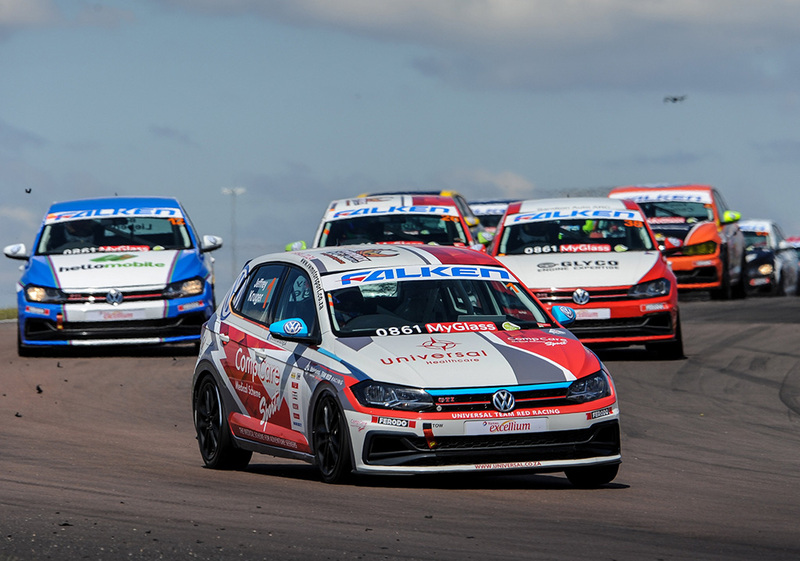 The 2019 Falken Polo Cup got off to a scenic start on 2 March, as the first round of the newly-named South African racing Polo GTI championship swept onto the Dezzi Raceway near Port Shepstone on the south coast of Kwa-Zulu Natal. 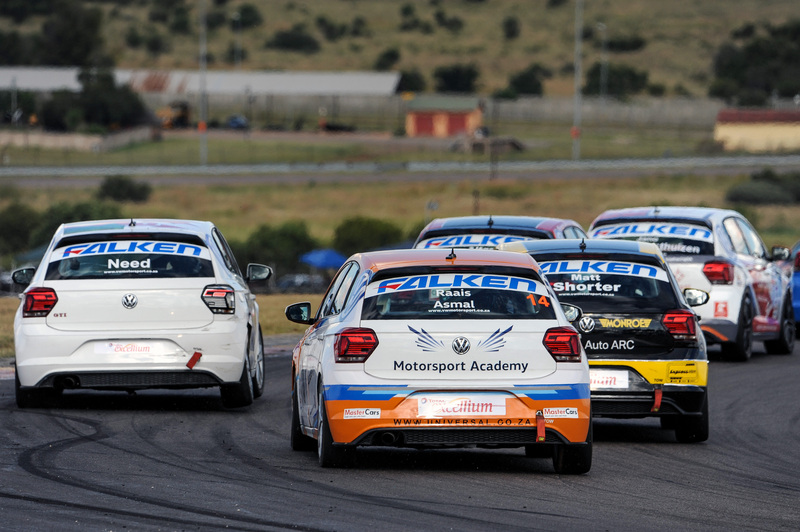 All eyes were on 2018 champion Jeffrey Kruger, the last winner of the championship when it was in its Engen Polo Cup incarnation. As it was, Kruger was first past the post in the first race, claiming the victory ahead of Jason Campos by more than six seconds. 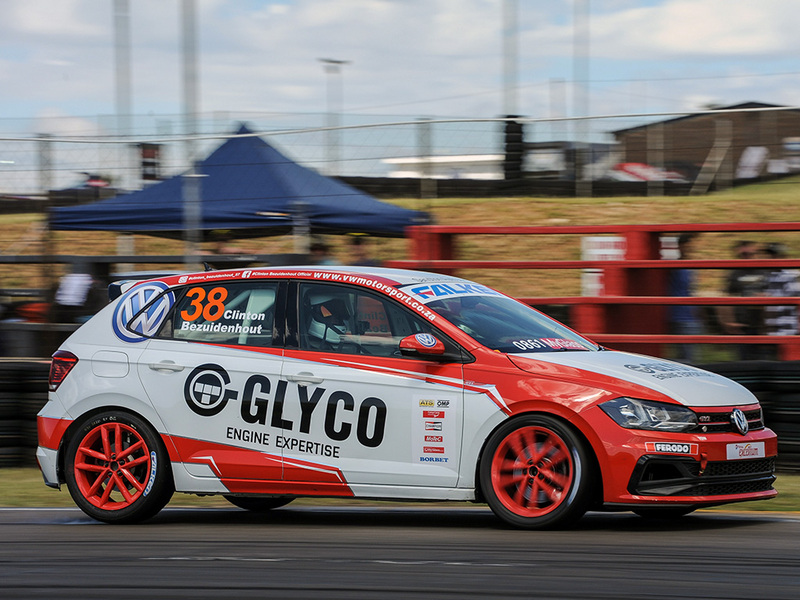 Another former Engen Polo Cup champion Chris Shorter returned to the series and crossed the finish in third, just three tenths of a second ahead of Stiaan Kriel. 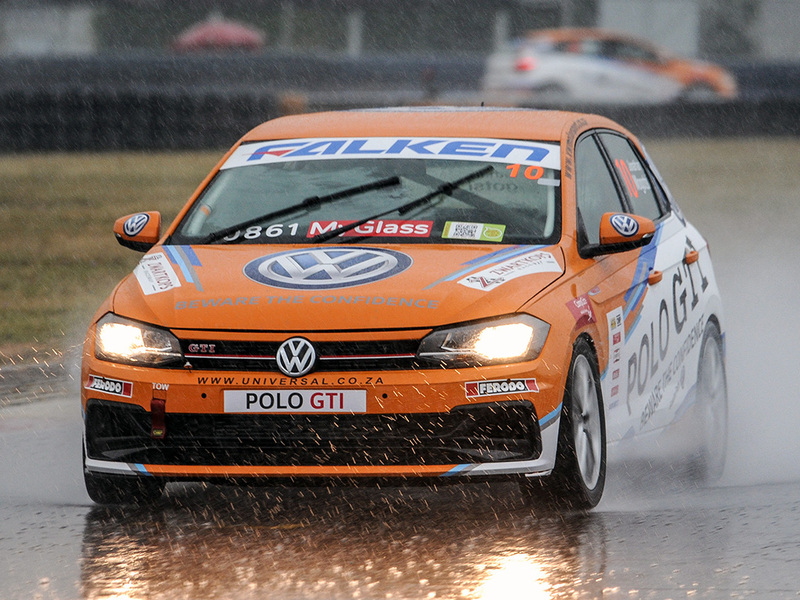 Bradley Liebenberg finished fifth, ahead of Volkswagen Motorsport’s Jonathan Mogotsi who recorded a sixth place finish. Dezzi Raceway may well have provided a beautiful racing backdrop, but the grid of 25 Polo GTIs and their drivers had no time to admire the scenery. Humid weather gave way to rain just as qualifying started and as the cars run on Falken slicks in the dry, wet weather rubber was deemed more appropriate, and teams scrambled back to the pits to change to more suitable tyres. The fastest six drivers at the end of regular qualifying each get another single flying lap to try and influence the order of the starting grid. Times were close, but Liebenberg pipped Kruger to pole, followed by Jason Campos. 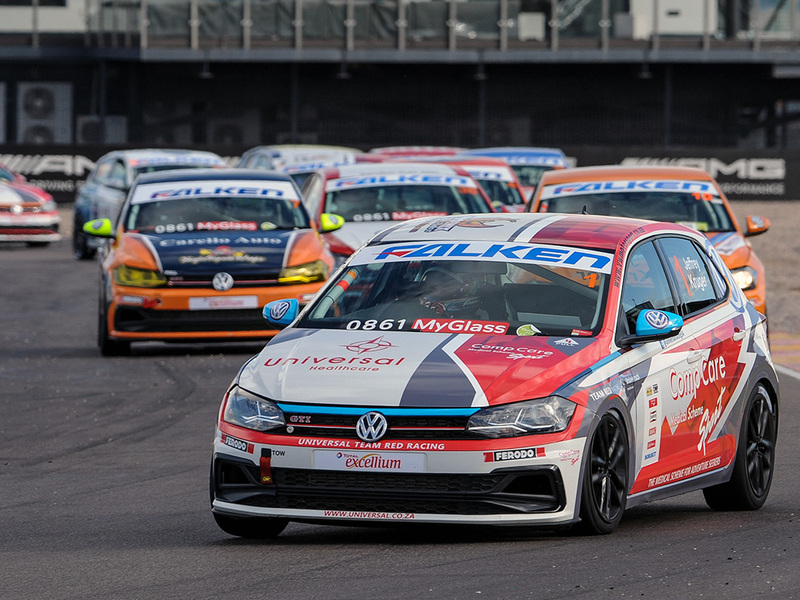 The twenty laps of action that followed had the Dezzi disciples on their feet, the Falken Polo Cup no different to the Engen Polo Cup in terms of thrilling spectacle and action. Liebenberg endured trouble negotiating the first corner and lost a number of positions, opening the door for Jeffrey Kruger and that was all the defending champion needed. With a clear track ahead, Kruger put in a series of consistent laps to build a comfortable lead of more than six seconds. Further down the field, Jurie Swart and Keegan Campos collided in a first corner incident that nearly saw the Polo of Swart roll over, while a spirited drive saw Liebenberg fight back up the field. In the Falken Polo Cup, the top six qualifiers draw their starting positions for the second race, and this put the cat amongst the pigeons as once again the field were jockeying for positions during the first few corners. Some paint was definitely traded and there were a few moments that had members of the growd gasping for air, but after ten eventful laps it was former champion Shorter who saw the checkered flag first. He crossed the line ahead of Liebenberg, Kruger, Keegan Campos and Kriel. When the times from both races are added to reveal the overall winners for the day, Shorter went away with the overall victory ahead of Kruger. 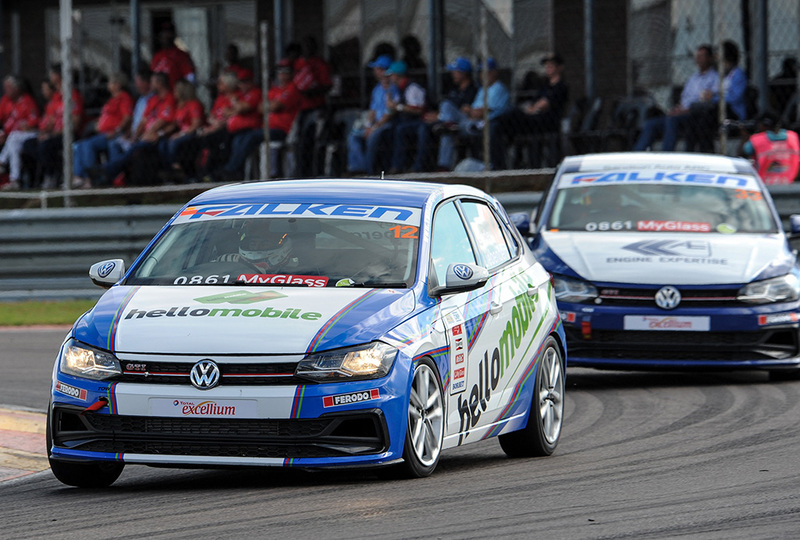 The second round of the 2019 Falken Polo Cup will take place on 5-6 April at the Zwartkops Raceway to the west of Pretoria.